To secure the booking there will be a 25% deposit payment. Deposits are non-refundable. We reserve the right to terminate a booking without refund, should participants be unable to follow safety rules, cause a nuisance or damage equipment. The group is responsible for the cost of repairs for any damage caused to our equipment and/or property caused by members of that group. Participants under the age of 18 must bring a completed signed consent form on the day of the booking. If they do not bring this, they will be unable to participate in the activities. Adventure Ways do not accept responsibility for any loss, damage or injury suffered by persons and/or their property during activities. Please note that Adventure Ways do not provide insurance cover for personal accident, nor for loss or damage to personal property. Information given on booking forms may be stored on a secured drive and will be used only for the purpose of centre administration. The details will not be released to any third party.  Adventure Ways staff may photograph or video those taking part in any Adventure Ways activity where consent has been given, and may use and/or store this media for coaching and/or promotional purposes. Adventure Ways has Policies in place for Safeguarding, Child Protection and for Health & Safety. Information on these is available from the office or can be downloaded from the website. Individuals will be excluded from taking part in activities if we are of the opinion that the person is under the influence of alcohol or illegal substance. Consumption of alcohol on site is only allowed at our discretion. We do not, however, expect people under the age of 18 to be given access to alcohol. Illegal substances are not allowed on site. In the interests of safety, we have a policy of no smoking in any building or activity area on site. Smoking is permitted outside the front gate.